17 kids & staff killed. And that’s when you can reframe the conversation into “gun safety”, not gun banning, not gun restrictions. That is the tack the medical profession is taking, and it might prove to be less confrontational to vested interests and more successful than other efforts. Gun safety measures target preventing ALL of the 722 annual gun injuries. (pun intended). The American Academy of Pediatrics strongly recommended a few years ago that pediatricians ask about gun safety as part of their usual assessments of household risks during a well visit; i.e. 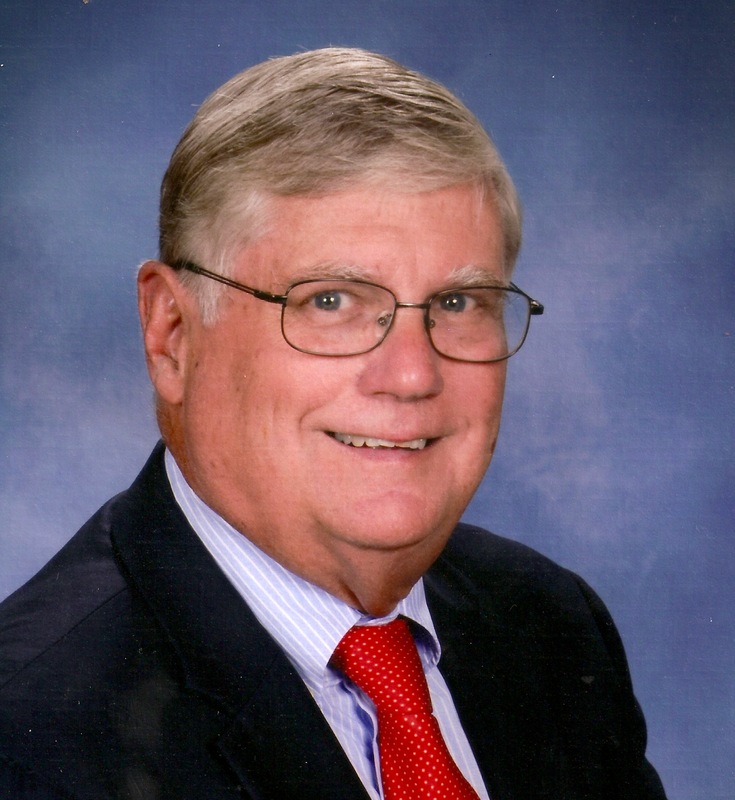 “If you have guns in the house,are they stored safe from the access of children?” One response was Florida legislature passing a law making it a crime for a physician to ask a patient or parent about gun ownership. The law was rescinded by the US Court of Appeals after the AMA brought suit. Smart gun technology now exists to make guns safe, but they would still allow the owner to “repel any invaders of his house . . . or country”, and might cut the number of gun injuries by 50%. Reducing mass homicides would require more regulation of automatic guns. Organized Medicine’s new recommendations are to focus on gun safety. 1. Physicians should talk to their patients and families about gun accessibility, storage, and safety in the home. 2. The CDC should be allowed to conduct gun violence research (collect and analyze data) like in any other public health epidemic. 3. Increase federally funded research on this “urgent health care crisis” of gun violence. The remarkable facts, that the paroxysm, or indeed the disease itself, is excited more especially upon walking up hill, and after a meal; that thus excited, it is accompanied with a sensation, which threatens instant death if the motion is persisted in; and, that on stopping, the distress immediately abates, or altogether subsides; have . . . formed a constituent part of the character of Angina Pectoris. – “Remarks on Angina Pectoris” by John Warren, M.D., appeared in 1812 as the first article in the first issue of The New England Journal of Medicine and Surgery. About this time of year in 1958 my father had a heart attack in Toronto. He awoke in the morning with some chest pain that didn’t get better after a cold, brisk shower “to make it subside” (“De’Nile ain’t just a river in Egypt”).Then he walked up a flight of stairs to a physician’s office (more water down De’Nile), almost left the waiting room when the pain went away (ditto again), but immediately impressed the doctor with how pale and clammy he looked. He spent three (3) weeks on his back in a Toronto hospital bed with the diagnosis of “heart attack. :” He was allowed to return home to suburban New York City by train. I don’t remember why the train, but I think it had something to do with him traveling in a wheelchair (“activity still restricted”). The rate of hospitalization in the U.S.for a heart attack (acute myocardial infarction or AMI) has decreased by 5% PER YEAR since 1987. The rates of major complications have dramatically decreased during the same period. Deaths from acute MI have declined slowly since 1980, but 50% of the AMI deaths occur before the patient arrives at the hospital. Hence the push in recent years to teach CPR to everyone and distribute portable cardiac defibrillators/ automatic external defribillators (AED) as widely as possible. There are now at least six types of heart attack. There is distinctly different therapy for each type of AMI. or you may be admitted to an “observation bed” or “step down unit” which have outcomes as good as a CCU or ICU. or you could even be sent home. You will probably be anti-coagulated as well. Most admitted non-CABG patients stay in the hospital for no more than 3-4 days. Some studies credit the declining death rate from cardiovascular disease to better prevention (Public health and primary care interventions). Others credit better, more timely diagnosis and treatment (scientific advances). Both are correct. 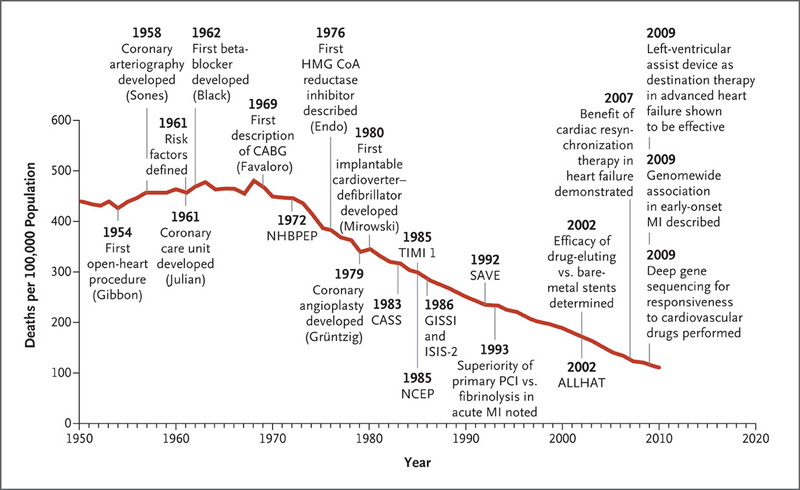 Decline of cardiovascular deaths due to scientific advances. 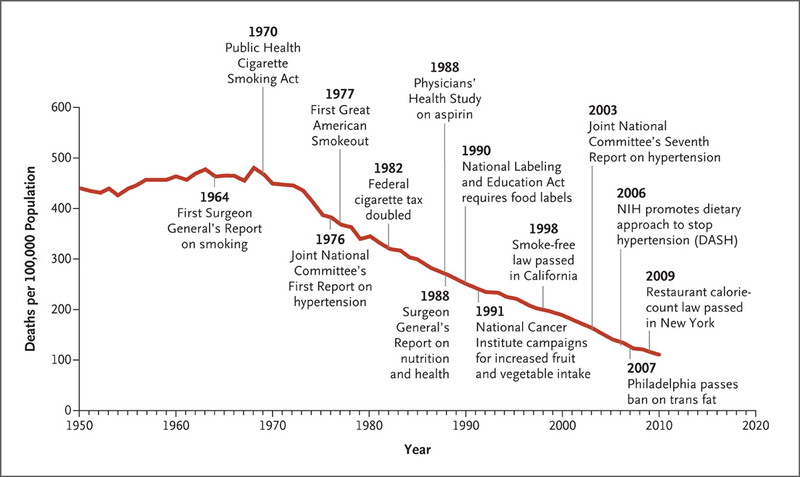 Decline of cardiovascular deaths due to public health and primary care interventions. You are currently browsing the archives for the evidence-based medicine category.